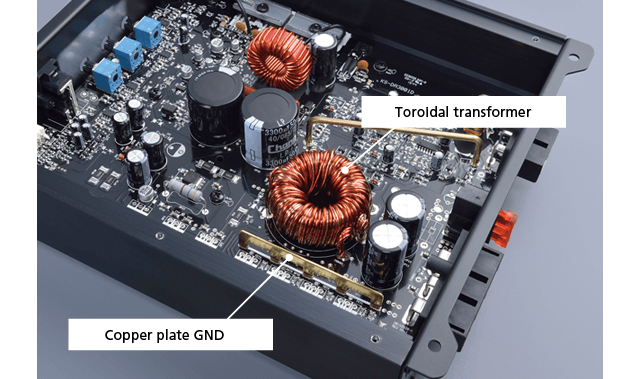 Stable power supply is assured thanks to a large-size toroidal transformer. Its high winding density and low flux leakage improves conversion efficiency of the power. The result is natural and powerful music playback throughout the volume range. Offers a copper plate for the ground. Its low resistance value reduces loss of voltage to deliver clear sound with less distortion. DR Series amplifiers feature speaker level inputs with Auto Turn-on function. Installation is possible without having to detach the head unit.